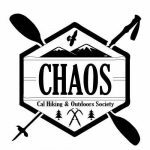 If you want to join CHAOS, see the How To Join page and come by one of our meetings! If you want to borrow equipment, check the Calendar for our next gear hours. Information on where to find us and how to check out gear can be found in the event details; the gear officer can also accept your membership dues if you want to join CHAOS when checking out gear. Before you ask you should check out our FAQ page!